Hardcover, 9.75 x 11.75 in. / 128 pgs / 55 bw. Larry Fink (born 1941), a photographer with a penchant for intriguingly composed social tableaux, is best known for the now-legendary photobook Social Graces (published in 1984), which combined images from working-class Pennsylvania with a portfolio from upper-crust Manhattan. Also an influential teacher and mentor, Fink has influenced a generation of contemporary photographers in his teaching at the Yale University School of Art, Cooper Union School of Art and Architecture, Parsons the New School for Design and Tyler School of Art, Temple University. He is currently Professor of Photography at Bard College. Images beaming with funky looks and powerful subjects. 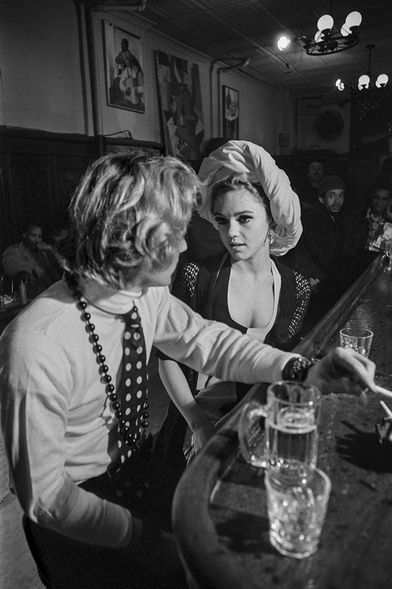 Larry Fink offers a candid view of life during the 1960s. 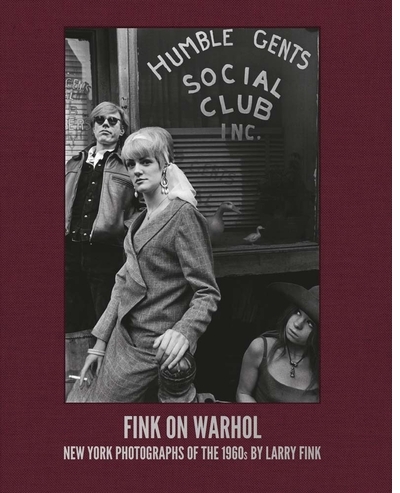 A beautiful and compelling photography book. 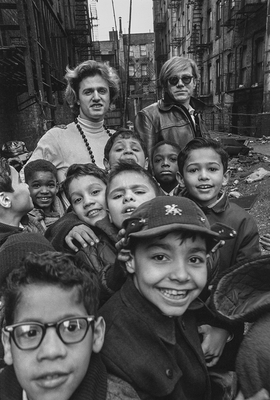 Thursday, March 30 from 6-8PM, Rizzoli, Damiani & ARTBOOK | D.A.P. invite you to a presentation and signing with Larry Fink, whose new book, Fink on Warhol: New York Photographs of the 1960s by Larry Fink, is new from Damiani. FORMAT: Hbk, 9.75 x 11.75 in. / 128 pgs / 55 b&w.